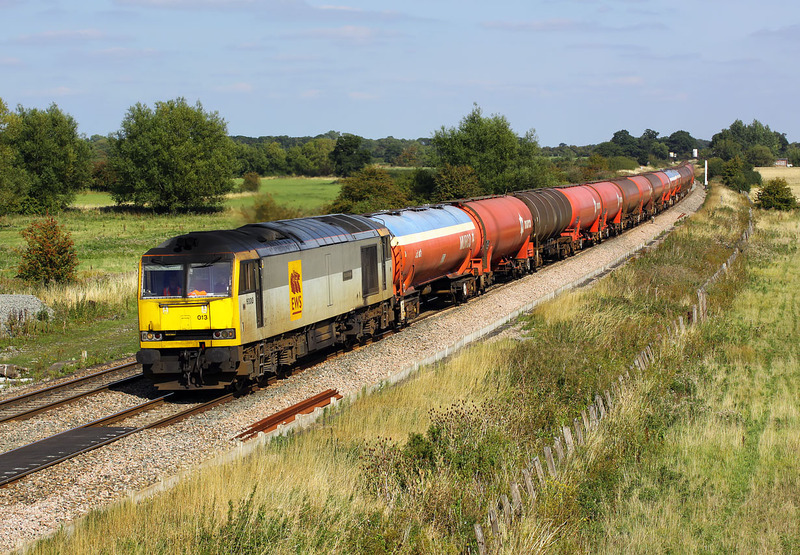 60013 Robert Boyle passes the site of Ashbury Crossing, near Shrivenham with the 6B33 13:33 Theale to Robeston Murco oil empties on 31 August 2010. After several months of pairs of 66s on this service, summer 2010 has seen a return of the proper type of locomotive to this weight of train, at least temporarily. A bit of proper maintenance wouldn't go amiss for the 60s, rather than just starting one up from the line of stored locos and then using it until it fails!